Energy efficiency of RF Frontends (RFFE), especially transmitters, continues to gain greater prominence. Meeting the efficiency challenge is increasingly difficult at higher operating frequencies and bandwidths, such as those proposed for 5G. 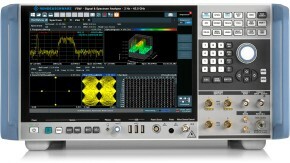 There is a group of transmitter RFFE architectures whose signal output is constructed from two, or more, efficiently generated components. This signal construction in effect, means that such architectures use predictive, post-correction linearization. Their predictive nature enables distortion to be completely eliminated. 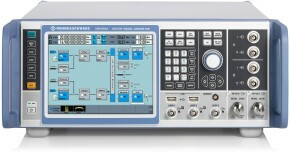 The capabilities of multi-channel signal synthesis setups with R&S®SMW200A, in combination with the R&S®FSW analyzer enable measurement, hence development, of these types of transmitters. 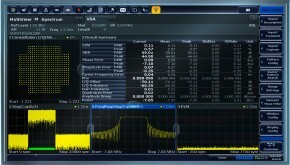 The document focusses on devices for the 3.5 GHz NR (5G New Radio) candidate band, but its findings are equally applicable to developments and measurements for, for example, K-band satellite applications or mmW NR candidate bands, where efficiency is an even more crucial design target.